Available now for $3000!! !ALL UTILITIES INCLUDED! 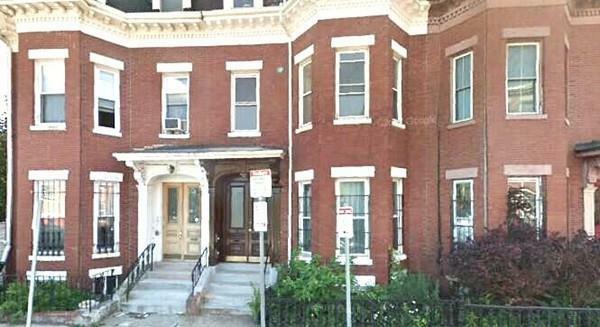 !Recently Gut Renovated 3 bedroom apartment in an elegant Brownstone in South End/Lower Roxbury area. It features High Ceilings, Open Concept Kitchen Design with all brand new Modern Kitchen Cabinets with Stainless Steel Appliances, Crispy White Quartz Countertops, Recessed Lighting, Beautiful Gleaming Hardwood Floors throughout, Walk-in Shower with Frameless Glass Door, the convenience of Laundry in Unit, Off street Parking. Steps to Silver Line SL5, SL4, Ruggles T Station, Bike Rentals, Grocery Markets, Shopping, Restaurants/Cafes etc. Very convenient for young professionals or students of Northeastern University, BU Medical, Berkeley College of Music, New England Conservatory and Tufts University. Listing courtesy of Enia Sadikov of Metropol Real Estate Llc. Listing provided courtesy of Enia Sadikov of Metropol Real Estate Llc.